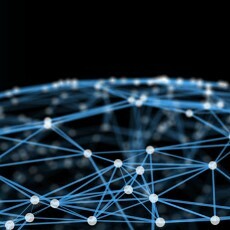 802.15.4 Mesh Networks Dominate Connectivity in the IoT with Zigbee Alliance Standards Forecasted to be in 85% of Units Shipped Over the Next Five Years. The Zigbee Alliance, an organization of hundreds of companies creating, maintaining, and delivering open, global standards for the Internet of Things (IoT), today announced that findings from leading market research firm ON World project an extremely favorable market for connected devices leveraging Zigbee Alliance technologies over the next five years. ON World – whose experts provide global business intelligence on the IoT – confirmed that half a billion Zigbee chipsets have been sold to date. Their analysts predict that 802.15.4 mesh chipset sales will skyrocket to 4.5 billion by 2023 with the majority of those being based on Zigbee Alliance technology standards. The firm’s most recent research findings, note Zigbee as the leading IoT connectivity technology for the smart home. Estimates state Zigbee Alliance technologies will account for 3.8 billion (85%) of the 4.5 billion IEEE 802.15.4 units projected to ship by 2023. “ON World’s projections validate the success we’ve been experiencing behind the scenes as we work with hundreds of innovative companies and developers to design and market Zigbee-based mesh products,” said Katie Gengler, Head of Marketing for the Zigbee Alliance. Zigbee 3.0: Zigbee is the only complete, open IoT solution, from mesh network to the universal language that allows smart objects to work together. It’s built on the Zigbee PRO networking stack and adds security layers so manufacturers can build full-stack, low-power, interoperable IoT devices, certified by the Zigbee Alliance, and backed by a global ecosystem of platforms, products and support. Dotdot: Already at the heart of Zigbee devices, Dotdot is the critical component in the wireless networking stack responsible for providing a universal application layer that makes it possible for different IoT devices to speak the same ‘language’ whether running over Zigbee, Thread, IP, or other networks. Dotdot enables smart objects to seamlessly and securely connect to each other across a wireless network, and expands possibilities for both developers and users as they look to build out ecosystems and explore the Internet of Things. The post Analysts Confirm Half a Billion Zigbee Chipsets Sold, Igniting IoT Innovation appeared first on IoT Business News.